This event has now passed. I will update when they put on another event. Wether you are a beginner, a backyard hobbyist, a homesteader or a skilled professional wanting to start a career in Aquaponics this course has something to offer. This course is will provide you with a solid foundation, in depth information, hands-on experience for designing and building cutting-edge Permaculture based Aquaponics Systems. Wether you want to grow food for you and your family, a small business or a fully commercial operation, this course will give you the foundational tools, information and experience you will need to support you in whatever Aquaponic endeavor you are interested in for years to come. At a time of global climate change, depletion of resources, pollution of water and huge losses of top soil worldwide, there has never been a more important time to learn about Aquaponics. Aquaponics is one of the most sustainable and productive farming systems in the world. It combines Aquaculture and Hydroponics to create more self-sufficient, closed-loop, systems that use only a fraction of the water, labor, energy, etc. that other methods use. Combining Permaculture Design with Aquaponics creates an even more sustainable, dynamic, productive & regenerative system. In this training you will learn some of the most cutting-edge pioneering aquaponics systems and gain a solid foundation from which to create your own Aquaponics System, Farm & thriving Green Business appropriate to your climate, ecology, dreams, & desires. ‣Field tested formulas, calculations, estimates and guidelines. ‣Complete designs, plans and materials lists. ‣And much more in this nearly 100 page manual. •NorCal Aquaponics Systems step-by-step construction manual with variations and site specific applications intended to make it easy for anyone to build an Aquaponics system. •A set of detailed construction plans, including site plans, and piping schematics. * This training will include all of the above as well as a design element focus on how to design a system specific to your individual climate, ecology, dreams, and desires – whether it is for a small personal system or a more large scale commercial system. Our intention is to empower you with cutting-edge information to get started in this promising new Green Career of the Future, and technology of the ancient past. By bringing Permaculture Design principles and practices into Aquaponics, we are closing many loops, inefficiencies, and energy drains that exist in more conventional systems, as well as integrating the system appropriately into the larger landscapes and ecologies it is a part of, making it a much more holistic and sustainable enterprise. Closed-Loop Aquaponics focuses on designing aquaponics systems that that produce as much of the system’s needs (water, energy, fish, feed, heat, gas, etc.) on-site and within the system itself as possible. Products of the systems can include; solar electricity, solar heated air, solar heated water, fish, prawns, vegetables, fruit, aquatic plants, algae, minnows, snails, worms, dry and liquid fertilizers, methane gas, and more. By using the Permaculture Design process, we learn to design systems appropriate to diverse climates and unique ecological niches to meet various needs, dreams, and desires. Growing our food in closed systems that require no soil allows us to farm soil and water outside the system! We plant soil and water in our damaged and depleted landscapes which not only aids in the restoration of the soil, groundwater and native forests, but has the added benefit of offsetting greenhouse gases by removing carbon Dioxide from the atmosphere. This is one of the practices used in what we call “Carbon Farming”. Soils contain approximately 75% of the carbon pool on land — three times more than the amount stored in living plants and animals. Did you know that 1” of healthy top soil spread over 1 acre of land sequesters the same amount of carbon a healthy forest of the same size does annually? It is estimated that our crop and range lands lose 4 tons of topsoil every year for every person alive! That’s 21 gigatons of soil washed or blown out to the sea and lost for productive use on land, releasing vast amounts of carbon in the process (New Scientist, December 2006). Being able to use land considered “Undesirable” by conventional farming, Aquaponic farmers have the added benefit of access to cheap lands and lease agreements. Often using otherwise unused space such as fill, gravel, concrete, abandoned commercial sites, even roof tops. “The only limit to our designs is in the mind of the designer”! To Register for the Aquaponics Course Click Here. Includes Aquaponics Certification, Course Materials (including 100 page course manual with detailed designs), Hands-on Experience, and light breakfast and lunch. Lodging is not provided, but there are low cost local hotels, camping options, and other possibilities available. To support the permaculture movement and our commitment to further empower local sustainability efforts, we are offering a special discount to Permaculture Design Course Graduates, Aquaponics Course Graduates, and college students – only $595! There will be a small registration fee in addition to the above prices. Lodging is not provided, and participants are responsible for their own lodging during the course. There are low cost local hotels, camping options, and other possibilities available – such as staying as a guest of a local participant. Please contact us if you would like some assistance finding lodging. We will send you more information on local lodging options in the registration packet. Cancellations up to 2 weeks before the course before Aug 30 will be refunded, excluding a $75 processing fee. No refunds are given after Aug 30, but may be credited towards a future course with Living Mandala (minus the processing fee). Not all courses apply. •AQUAPONICS USES 90% LESS WATER THAN CONVENTIONAL FARMING DOES! •AQUAPONICS IS ENERGY-EFFICIENT: IT REQUIRES ONE-THIRD OF THE ENERGY OTHER FARMING SYSTEMS USE! 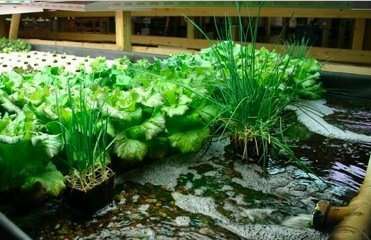 •AQUAPONICS HAS EIGHT TO TEN TIMES MORE VEGETABLE PRODUCTION IN THE SAME AREA AND TIME! •LABOR IS REDUCED AS MUCH AS 40% AND MANY USEFUL BYPRODUCTS ARE CREATED THAT CAN BE USED TO FARM OTHER CROPS, TREES, SOIL, WATER AND ENERGY! •A PERMACULTURE INSPIRED SYSTEM PRODUCES ALL OF THE SYSTEM’S NEEDS (WATER, ENERGY, FISH FEED, HEAT, ETC.) ON SITE! •PRODUCTS OF THE SYSTEM INCLUDE; SOLAR ELECTRICITY, HEAT, FISH, PRAWNS, VEGETABLES, AQUATIC PLANTS, ALGAE, SNAILS, WORMS, FERTILIZER, EVEN METHANE GAS! Situated in Santa Rosa’s historic Railroad Square District, Arlene Francis Center for Spirit, Art, and Politics houses educational, cultural, ethical and green business activities united by a common purpose ~ the development of a theory and practice that will foster the creation of a better world, one in which human beings will come to see one another as the source of each other’s completion, as inherently good and caring social and ecological beings who seek to fully recognize each other’s common humanity and interconnectedness with all of life, and to create a world based upon justice, kindness, love, and respect for the Earth. The Center is located in the Foundation’s beautiful 8,000 square-foot, red brick building located at 99 Sixth Street, Santa Rosa, in Sonoma County, California. Maximillian Meyers is an Ecological Designer, Permaculture Teacher, Commercial Aquaponic System Designer/Installer, Rainwater and Greywater System specialist, Farmer and the Executive Director of the Mendocino Ecological Learning Center – a nonprofit educational organization and ecological reserve offering green job training and sustainable living skills to the public free of charge. In addition to the work at MELC, Max provides Ecological design services to the public, organizations and schools through his businesses Osiris Designs and NorCal Aquaponics. He is passionate about all things related to a more just and sustainable world. He has been studying, practicing and teaching Permaculture and Ecological Design for 13 years. Since graduating from College with a B.A. 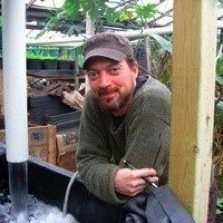 degree in Culture, Ecology and Sustainable Communities, Max has become a certified Permaculture designer/teacher, water systems specialist and working professional. He has been fortunate enough to study with people like Bill Mollison, Geoff Lawton, Sepp Holzer, Tom Ward, Jude Hobbs, John Valenzuela, Penny Livingston, and many others in places like the United States, New Zealand, Australia, Thailand, Mexico, Colombia, Brazil and Hawaii. Some of his fields of study and practice include: Natural Building, Organic Farming, Integrated Rainwater Harvesting, Alternative Transportation, Mushroom Cultivation, Sustainable Forestry, Beekeeping, Animal Husbandry, Renewable Energy, Biogas Production and use, Greywater Systems design and installation, Vermiculture, seed saving and many other sustainable technologies, methods and skills. He has experience teaching Permaculture, Natural Building, Cob Construction, Renewable Energy, Organic Farming, Beekeeping and others. His work has been featured in the best selling book Gaia’s Garden, radio and television programs. Max’s most recent project is a large scale Aquaculture Farm in Costa Rica that he is transforming into a large scale Commercial Aquaponics Farm, Research Institute, and Educational Center called Finca Neptuno. 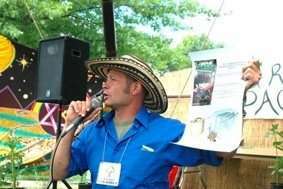 Jay Ma is a permaculture designer, natural builder, and community organizer committed to cultural healing through Peacemaker Principles. Jay is the director of programs at Living Mandala, and works with regenerative educators and institutions organizing educational courses, workshops, and events for personal, ecological and social regeneration in the Pacific Northwest and beyond. 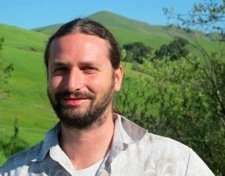 He received his first permaculture design certification through Naropa University in 2001, a B.A. through New College of California in Culture, Ecology, and Sustainable Community with a concentration in Eco-Dwelling & Natural Building. Jay is a two-time graduate of the pioneering two-year training intensive in Regenerative Design & Nature Awareness. Jay has facilitated educational programs, retreats, workshops, and events as well as community land development projects for 10 years now with organizations including the Regenerative Design Institute, the Institute of Noetic Sciences, Gaia University, Omega Institute, Harmony Festival, and many others. Jay is also a Fire Walk Instructor through Sundoor International, and is passionate about renewing Rites of Passage experiential programs for people of all ages. This entry was posted on Tuesday, December 4th, 2012 at 2:59 PM	and is filed under Hydroponics / Aquaponics. Both comments and pings are currently closed.